You've added beautiful laminate flooring throughout your house, and now you're thinking about extending it into your basement, bathroom, and laundry room. Don’t do it; using certain flooring materials in damp or moisture-prone areas can be catastrophic. Luckily, Bargain Outlet has a wide range of alternative flooring solutions for your home at one of their 37 locations. Ceramic Tile: One of the most durable options, ceramic tile comes in a variety of colors to match any decor. Add tinted grout for a custom look. Concrete: With options like stamping and concrete stains, you can create a decorator look for a fraction of the cost. Carefree maintenance is as simple as using a damp mop for cleanup. Concrete can be used in the basement, bathroom, kitchen, or laundry room. Affordable and virtually maintenance-free, concrete is an excellent flooring choice. Stone Tile: Similar to ceramic tile, stone can be found in hundreds of colors, shapes, and sizes. Stone requires a bit more labor to cut and grout than other options, but it’s a trendy, attractive choice. Make sure you select clear stones that won’t absorb too much water. Vinyl: By far, vinyl tile is the most affordable option. 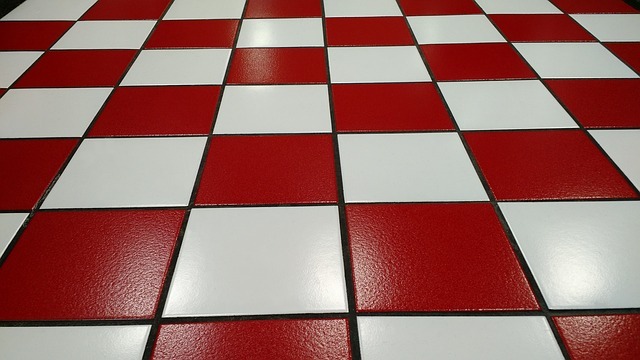 It can be purchased as tile squares or on a roll, making cleanups simple and easy. Modern vinyl is available in a variety of colors and styles, and because it’s petroleum based, vinyl can resist mold, mildew, and water. Carefully research the best options for your home and budget before replacing the flooring in high-moisture areas. For great deals on all sorts of flooring options and building supplies for your next home improvement project, head to Bargain Outlet. Visit the website for a free flooring estimate and to find the location nearest you.